September 27th 2016. 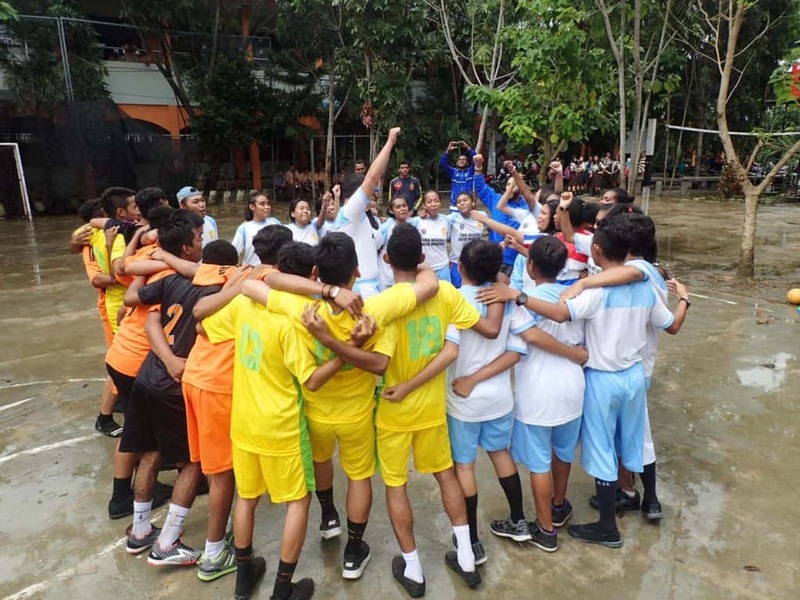 CAC volunteer Alicia Calcagni gives a shoutout to the coaches of Sorong, Indonesia and our partnership with Uni Papua. My shoutout this week goes to all of the coaches I have worked with in Indonesia. My partner, Mark Gabriel, started ending our sessions with a “shout out.” Which includes all of us standing in a circle while he screams, “I have a shout out,” and us yelling back, “shout out!” Then, he recognizes the exemplar leader of that day. After that, we huddle around him or her and do a cheer. This ritual isn’t designed to single one person out as the best, but to appreciate someone for being a good person. I have noticed it also drives the other participants to improve. For example, at our first session in Sorong we gave a shoutout to a coach named Aroses. We chose him because he came prepared with a notebook and wrote down every game played and the social impact of it. He also had an answer for every question, while encouraging others to speak up as well. Following his lead, two aspiring coaches came ready to play with a notebook in hand the next day. No matter the age, shining someone in a positive light (even for the little things) boosts their confidence and pride. Which has the ability to boost the confidence and pride of the whole group. Creating this ritual developed a personal connection with the coaches, making our differences fade away. Mark also started ending every session with a handshake. The coaches ticket to leave was giving us a high five and a fist bump. It is difficult going into a community as an outsider and talking about specific social issues, especially since we only have a limited number of days. However, these little acknowledgements builds trust and comradery. Thank you Uni Papua for embracing CAC’s work and making a difference.